If you need to replace your AC tubing, then you are in the right place. 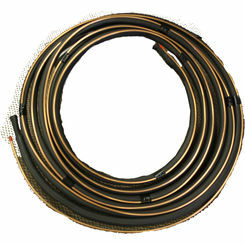 PlumbersStock.com carries a number of solutions when it comes to discount air conditioning lines online. Get your air conditioning system up to date at prices you can afford. 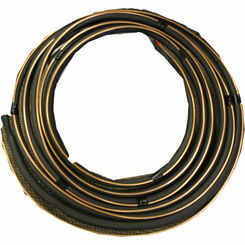 When working on any HVAC related jobs, replacing the AC lines can make a world of difference to performance. 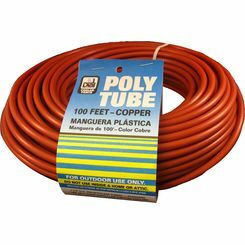 Whether you are working on refrigeration, ducting, or heating, there are few times you’ll find yourself not needing a length of tubing for your work; and yet, it’s extremely difficult to find the quality and the pricing you need. 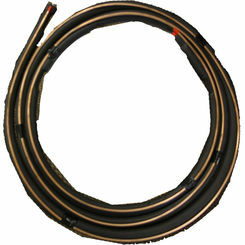 Fortunately, if you are looking for the best HVAC tubing online, you’ve come to the right place. 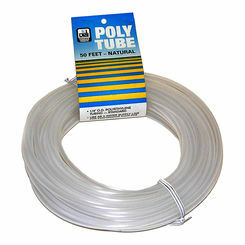 PlumbersStock.com has a healthy stock of Dial tubing related tools for all your HVAC needs. 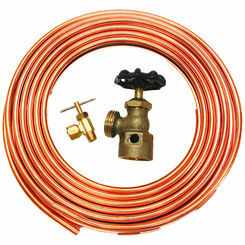 From copper tubing cutter kits to any tube diameter/material you are looking for, we have it. If tubing isn't the kind of HVAC pipe product you need, we offer everything you can imagine. 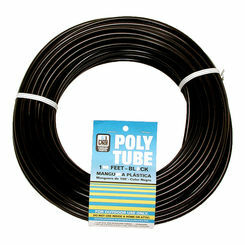 Read this guide to learn precisely what kinds of tube you need for your project! 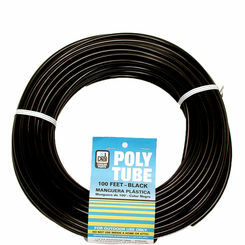 Poly Tubing: otherwise known as polyethylene AC lines, this material has several applications in and beyond the world of HVAC. 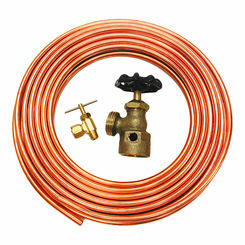 However, it is most often used for transporting water and other non-acidic liquids. 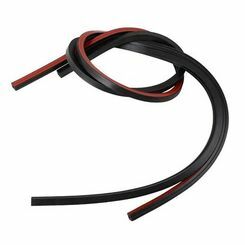 It can also be used to transport gasses, and is known to be highly resistant to heat, moisture, and other common stressors. 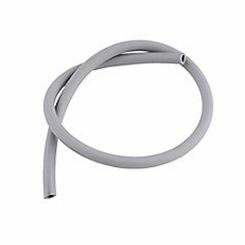 This is, perhaps, one of the most ubiquitous forms of AC lines in HVAC, and you most likely will be using it at one time or another. 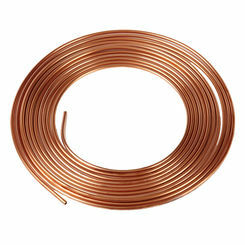 Copper Tubing: copper tubing is often used for cold and hot water supply taps, as well as refrigerant lines within HVAC systems. 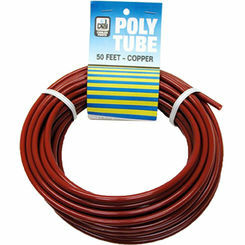 In many cases, poly and copper AC lines can be used interchangeably; however, only copper tubing should be used for refrigerant lines, and it is also more expensive. 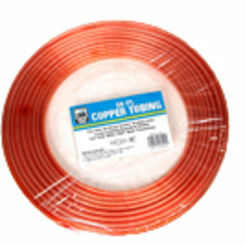 Keep this in mind when purchasing copper air conditioning tubing. 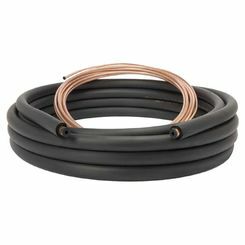 Insulated AC Lines: also used for refrigerant lines, an insulated line set shares many properties with copper AC tubing and can be used interchangeably. All in all, these types of AC lines are very similar; but, there are very important differences you need to understand. Learn them, and make sure you get the right type for the job you are currently working on. Another important part of choosing your piping is the sizing of the line, as most air conditioning lines comes in different diameters. So, an important question to answer is how to know which sizing you should use. The answer? Honestly, it depends. 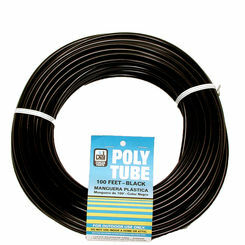 Most applications for tubing will have openings that define which size tubing you should use, but not all will; it is up to you to make the measurements and find out precisely how wide/large the AC lines should be. With some of the highest quality brands around, and a host of different cuts, diameters, and materials, you will almost always be able to find precisely what you need, for the price that you can afford. Few physical stores can provide the prices that we do—seeing as we are not a brick and mortar supplier—and even fewer can offer our selection. 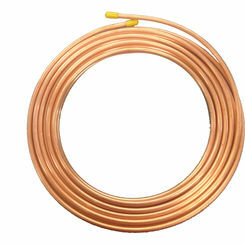 With that in mind, buying AC lines from PlumbersStock is the easiest decision you’ll ever make!